Creatine Monohydrate is a naturally occurring organic compound, found naturally in both the human body and in various meats and fish. Increasing the amount of Creatine Monohydrate in one' s diet will provide an increase in athletic performance with no adverse effects. The purpose of this investigation is to examine what the scientific literature has found regarding the biological pathways of Creatine Monohydrate, and therefore determine the validity of the manufacturer' s claims. 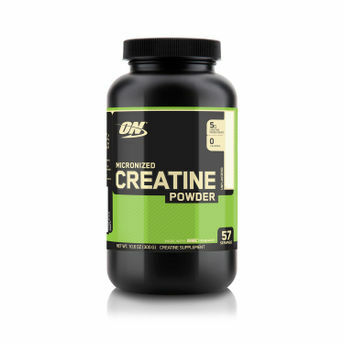 Each serving supplies a full 5 grams (5000 mg) of 99.9% pure Creapure(tm) brand Creatine Monohydrate.